Manchester United have reportedly made an offer worth around £72million to seal the transfer of Inter Milan defender Milan Skriniar. The Slovakia international is one of the finest centre-backs in Europe at the moment and has been linked several times with bigger clubs in recent months. According to Tuttomercatoweb, he now could be likely to sign a new contract with Inter, though United have disrupted those talks by making an approach for the player. 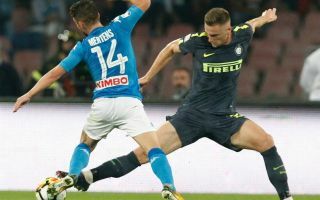 It remains to be seen if that will be enough for the Red Devils to convince Skriniar to leave the San Siro for Old Trafford, but there’s no doubt they could do with a defensive signing of his quality. Don Balon also linked the 24-year-old with Real Madrid earlier this season, and it makes sense that big clubs are queuing up for him ahead of the summer. From United’s point of view, Skriniar would surely be a significant upgrade on inconsistent performers like Phil Jones, Eric Bailly and Chris Smalling. MUFC fans will surely hope their latest reported approach can have an effect in perhaps making Skriniar think twice about signing a new contract with Inter.